Honestly, England, I don't recognise you. Where did all this beautiful weather come from?? 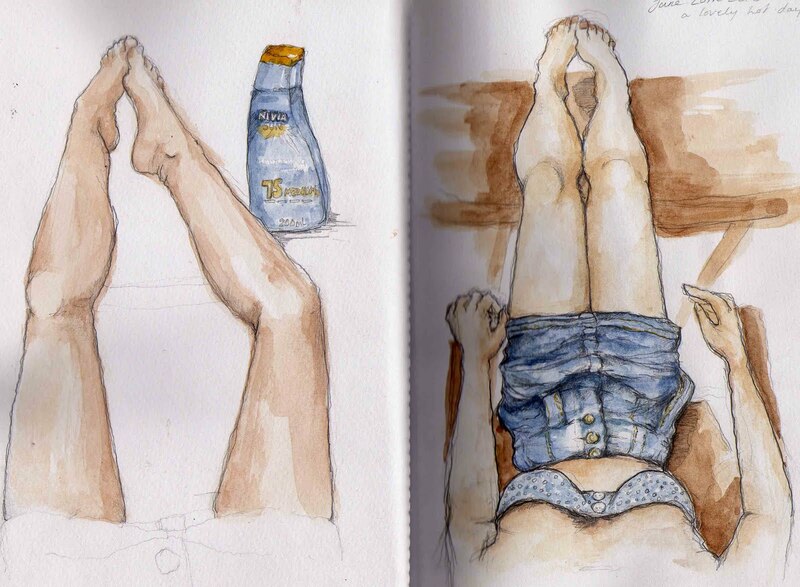 So, a couple of quick water-colours done while sitting in the sunny garden last week. I'm recently quite into these POV drawings (mainly inspired by the fact I've been on my own with no-one else to draw!) I think I'm going to do a whole little narrative based on this theme. The hands are fairly awful, I'm afraid, as I made them up (my actual hands were rather preoccupied with the whole drawing thing :P).